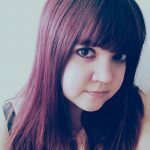 Posted October 5, 2017 by laurielmorrison & filed under Author Interviews, The Writing Process, Young Adult Literature. During the first year of my MFA program at Vermont College of Fine Arts, I was working on a manuscript that wasn’t quite cooperating. The voice wasn’t quite interesting enough, and the story didn’t have quite enough urgency. My advisor at the time, the brilliant author Franny Billingsley, suggested that I might be able to give the narrative more energy if I gave my main character an audience to address. Some of my favorite books are told in an epistolary format, meaning that they are structured as a series of letters, emails, or other types of messages, so I was excited to turn my uncooperative manuscript into an epistolary novel. Sure enough, the voice came to life when I structured it as an extended letter…but the new structure brought with it a lot of challenges, too. There were certain things, for instance, that I needed the reader to know but wasn’t sure my character would really write in a letter. And sometimes the things I thought she would write didn’t really advance the story. I recently got to read advance copies of two fabulous epistolary novels that are due out in 2018 and that absolutely rock the format—A.B. Rutledge’s Miles Away from You and Jen Petro-Roy’s P.S. I Miss You. Both of these books manage to be heartbreaking, hopeful, and hilarious, and I was eager to ask both authors about how their structures shaped their storytelling and how they navigated the tricky parts of the epistolary format. Today I’m hosting A.B. to talk about her experience writing an unconventional kind of narrative, and I’ll be back next week to host Jen. So, without further ado, meet A.B. Rutledge! A.B. is an optician from Southeast Missouri. She likes ’90s alternative music, dresses with pockets, and leaving Halloween decorations up all year long. When she’s not up at 3 a.m. scribbling out stories, you can find her in her art studio covered in paper scraps, paint, and cats. Sounds awesome, right? It truly is. And as I read it, I kept thinking that there was no way it could have been as awesome as it is without the format A.B. chose. Here’s what she had to say about that format! Laurie: How did you choose to structure your book as a series of messages? A.B. : I liked the idea of my main character spilling his guts out to someone who can’t see his messages or reply. 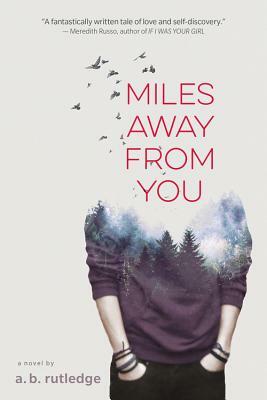 In a way, what Miles is doing is just for himself, but at the same time he’s working out all his struggles by telling them to the person he loves most in the world. There’s a lot of intimacy in instant messaging conversations. Some of the truest things I’ve ever said have taken place in online spaces and I wanted to see if I could work with fiction that same way. Laurie: I love that point about the intimacy of instant messaging, and that intimacy definitely infuses all of Miles’s messages. What do you think the specific format enabled you to do that you might not have been able to do otherwise? A.B. : I got to play with words a little more than I might have typically been allowed. We get to see Miles’s sense of humor in the way he bangs his hands on the keyboard to approximate the way Icelandic sounds to him. I also got to do some fun things with punctuation. I think it’s secretly every YA writer’s dream to get by with using three question marks in a row. Laurie: Yes! It’s amazing how much you can reveal about a character just based on (occasionally unconventional) punctuation usage. And that playfulness with language and punctuation is a lot of what made Miles feel so real to me. What was the biggest challenge in using the format you chose? A.B. : When I was doing edits with my agent, she asked me to describe Miles in the book and I had the hardest time figuring out how or why he’d describe himself to his own girlfriend, but I managed to pull it off by having him look at a painting they’d done together and later by having another character compare him to a celebrity. But I’ve always thought the interesting thing about epistolary works was that they don’t do a lot of character descriptions. You can picture Miles however you like. I promise I won’t mind. I think it can also be a challenge to include other kinds of visual descriptions in epistolary novels if the person that the main character is addressing has already seen the places where scenes in the book take place. The fact that Miles is in Iceland—a place that is new to him and that Vivian never knew—seems to allow you to incorporate plenty of visual descriptions without them feeling clunky in the epistolary format. Thanks so much, A.B. for chatting with me about your completely original novel. For fellow epistolary fans (or, really, fans of great storytelling in general), you can preorder the book on IndieBound, Barnes & Noble, or Amazon!